Leading into the season, talk was all about the dynamic between Shane van Gisbergen and Jamie Whincup as the Kiwi star joined the six-time champ in the Red Bull squad. 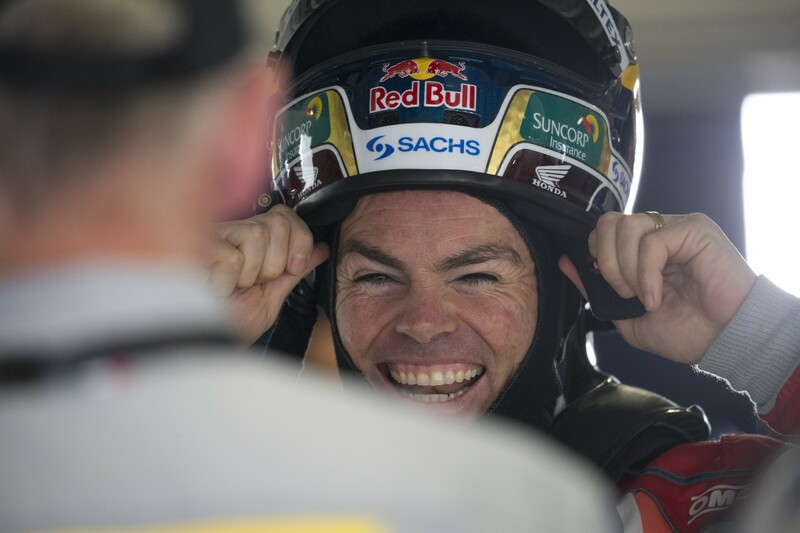 But Craig Lowndes sent a firm reminder he was still in it to win it, stealing the show as he battled both teammates on-track at the Formula 1 Rolex Australian Grand Prix. 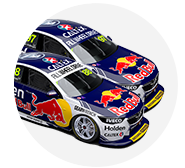 The Triple Eight trio locked out the podium in two of the four races, with van Gisbergen winning three and Whincup one. But Lowndes suggested he would’ve pushed harder if the event was for championship points on the television coverage, and insisted he wouldn’t be in the TeamVortex seat this season if he didn’t believe he could go one up on last year’s second placing for the title. Lowndes got past Whincup in race two, and then pressured van Gisbergen in the following run and was the main focus fighting for positions. “I wouldn’t be racing if I didn’t think we could still win races and try and win championships,” Lowndes told v8supercars.com.au. “Clipsal didn’t go to plan but most people will say that because of the crazy weather and the way it unfolded on Sunday – there were a lot of championship contenders who weren’t up the front where they should’ve been. Lowndes shocked the field with his speed early in the Symmons Plains event in 2015, setting his top three practice time on hard Dunlop tyres while his competitors were on the quicker soft compound. He earned all three pole positions, two wins, and a sixth position on Sunday after taking out David Reynolds and coming back from a drive-through penalty. The car’s performance last year is encouraging, with Lowndes focused on repeating the feat with 2016 engineer Ludo Lacroix, who doubles as the team’s technical director. 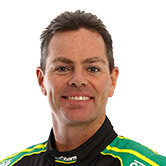 “We can try and win more down there – the car last year was really good, probably one of the best cars we’ve had down there and we haven’t lost focus on what we had in the sense of setup,” Lowndes said. After the rain-affected, chaotic Clipsal 500, Lowndes sits 14th on the points table, while his teammates are second and third, with Whincup just 10 points ahead of Shane van Gisbergen. Lowndes is only 54 points adrift of Whincup, though, with just one round down.